Psychology, 5th Australian and New Zealand Edition (Burton et al.) enables every introductory psychology student to master concepts through proven pedagogy and meaningful ‘tales from the front’ videos with practicing psychologists. Neuroplasticity content is integrated throughout every chapter. 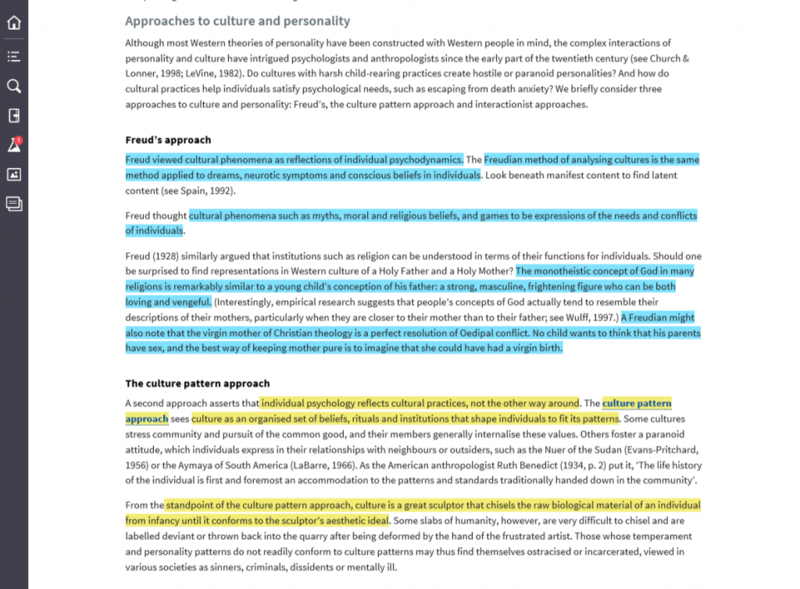 Highly topical Neuroplasticity content is embedded throughout the text, rather than being confined to a single chapter. Instructive interactives and auto-graded knowledge check questions allow students to revise, practice and apply what they have learned. 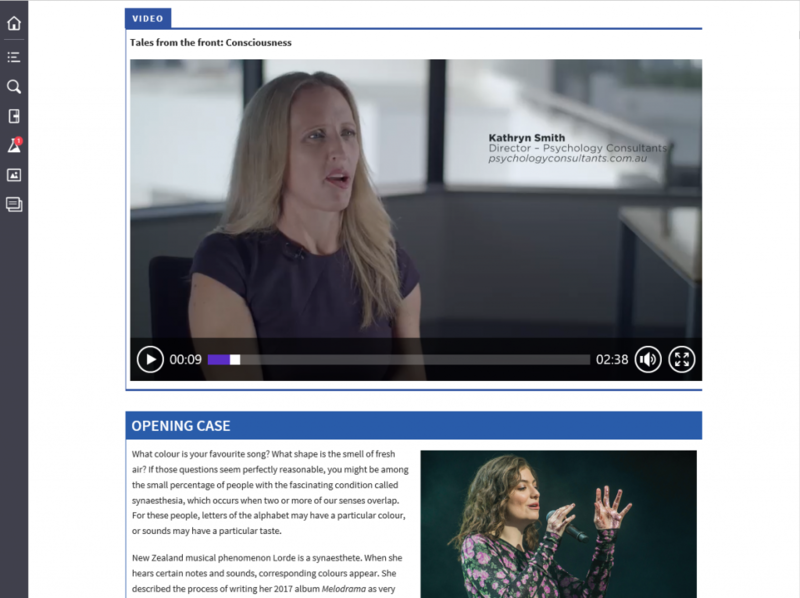 ‘Tales from the front’ videos from practicing psychologists help students apply concepts to the real world. Plus, bespoke local video cases show unit concepts in action. Lorelle Burton is Professor of Psychology in the Faculty of Health, Engineering and Sciences at the University of Southern Queensland (USQ). Lorelle is a fully registered psychologist and a full member of the Australian Psychological Society (APS). She commenced full-time teaching in 1996, with her primary areas of interest including foundation psychology and individual differences. Lorelle’s passion for teaching psychology has been recognised with a number of teaching excellence awards, both locally and nationally. She received the USQ Award for Teaching Excellence in 2001, and the Dean’s Award for Outstanding Contribution to the Faculty of Sciences in 2005 and 2006. 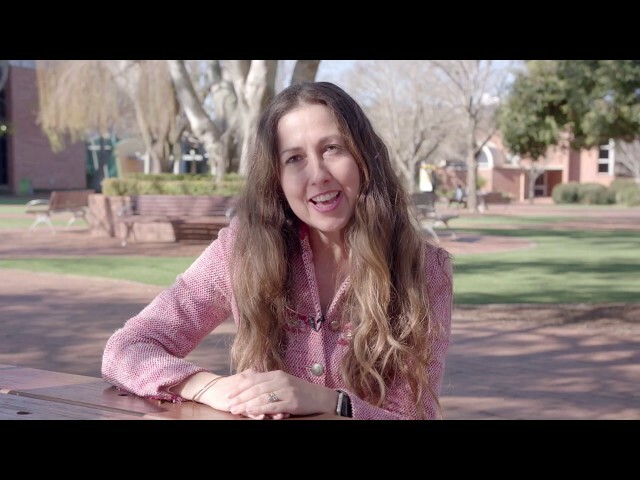 She was awarded the 2004 Pearson Education and APS Psychology Early Career Teaching Award, and in 2006 she received a Carrick Australian Award for Teaching Excellence (Social Sciences) and a Carrick Australian Citation for Outstanding Contributions to Student Learning. In 2016 she received the APS Distinguished Contribution to Psychological Education Award. One of the keys to Lorelle’s success as a teacher is her commitment to developing innovative approaches to course design and delivery. She is deeply committed to the quality of learning experiences and the success of her students, and has passionately embraced new technologies as a means of creating exciting, interesting and meaningful learning environments. Via online discussion forums, interactive online exercises and multimedia delivery, she engages her students and enables them to become active and satisfied participants in their learning experiences. 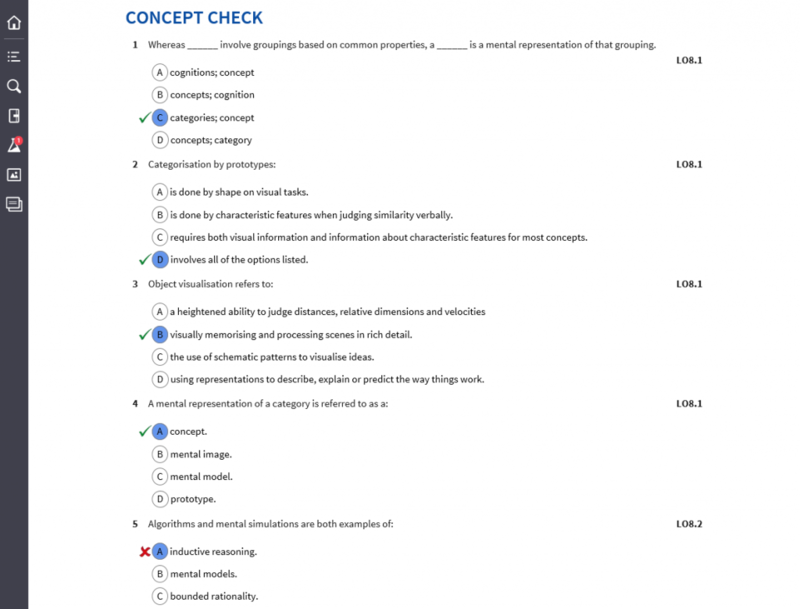 For example, she authored the widely used text entitled An Interactive Approach to Writing Essays and Research Reports in Psychology, currently in its fourth edition, which includes interactive practice exercises to help students quickly master the core referencing requirements in psychology and better manage their own learning needs. She also adapted the iStudy to accompany this latest edition of the text. Lorelle has a strong research track record focused on better understanding the factors that impact on student learning. She has presented and published multiple papers at national and international conferences in her specialised areas. Lorelle has been an invited assessor for national teaching excellence awards and grants and has led numerous national collaborative research projects on student transition. Lorelle’s current research focus involves leading cross-community collaborations to promote community capacity building and wellbeing. Psychology is second to her main love in life — her family. Lorelle is married to Andrew Fox and they have two children, Emily and Benjamin. Drew Westen is Professor in the Department of Psychology and Department of Psychiatry and Behavioral Sciences at Emory University. He received his BA at Harvard University, an MA in Social and Political Thought at the University of Sussex (England) and his PhD in Clinical Psychology at the University of Michigan, where he subsequently taught for six years. While at the University of Michigan, he was honoured two years in a row by the Michigan Daily as the best teaching professor at the university, and was the recipient of the first Golden Apple Award for outstanding undergraduate teaching. More recently, he was selected as a G. Stanley Hall Lecturer by the American Psychological Association. Drew is an active researcher who is on the editorial boards of multiple journals, including Clinical Psychology: Science and Practice, Psychological Assessment and the Journal of Personality Disorders. His major areas of research are personality disorders, eating disorders, emotion regulation, implicit processes, psychotherapy effectiveness and adolescent psychopathology. His series of videotaped lectures on abnormal psychology, called Is Anyone Really Normal?, was published by the Teaching Company, in collaboration with the Smithsonian Institution. Drew also provides psychological commentaries on political issues for All Things Considered on National Public Radio. His main loves outside of psychology are his wife, Laura, and his daughter, Mackenzie. He also writes comedy music, has performed as a stand-up comic in Boston, and has performed and directed improvisational comedy for the President of the United States. Robin Kowalski is Professor of Psychology in the Department of Psychology at Clemson University. She received her BA at Furman University, an MA in General Psychology at Wake Forest University and her PhD in Social Psychology at the University of North Carolina at Greensboro. Robin spent the first 13 years of her career at Western Carolina University in Cullowhee, North Carolina. While there, she received the Botner Superior Teaching Award and the University Teaching-Research Award. She came to Clemson in 2003, where she has received the College of Business and Behavioral Science Undergraduate Teaching Excellence Award, the Board of Trustee’s Award for Faculty Excellence and the National Scholar’s Mentoring Award. She is also an active researcher who served on the editorial board for the Journal of Social and Clinical Psychology. She has written or edited nine books and has been published in many professional journals, including Psychological Bulletin and the Journal of Experimental Social Psychology. Robin has two primary research interests. The first focuses on aversive interpersonal behaviours, specifically cyber bullying and complaining. Her research on complaining has received international attention, including an appearance on NBC’s Today Show. Her book, Complaining, Teasing, and Other Annoying Behaviors, was featured on National Public Radio’s All Things Considered, and in an article in USA Weekend. Her book on cyber bullying entitled Cyber Bullying: Bullying in the Digital Age has an accompanying website: www.cyberbullyhelp.com. Her second research focus is health psychology, with a particular focus on organ donation and transplantation. Robin has twin boys, Noah and Jordan. 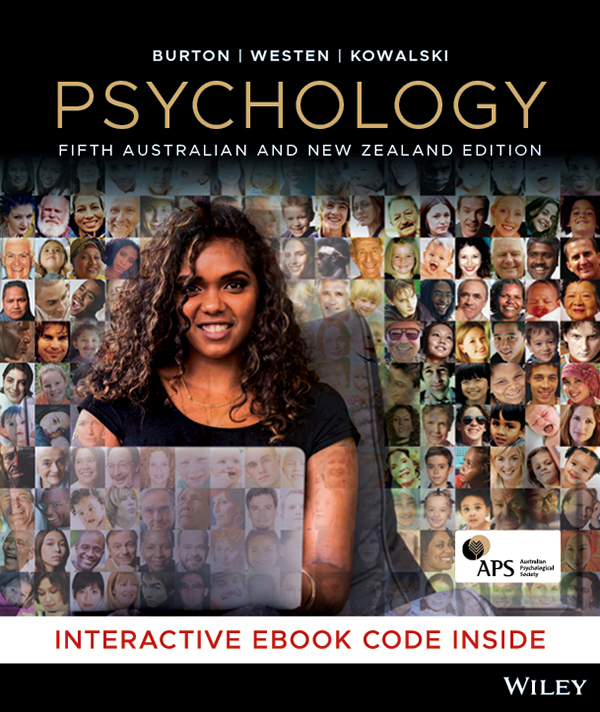 Students can purchase their Psychology, 5e Australian and New Zealand (Burton et al.) textbook from Wiley Direct.